Little Star fabric collection by Bunnies By The Bay for Timeless Treasures. 100% cotton, 42-44" wide. Collection colors include yellow, grey and white. 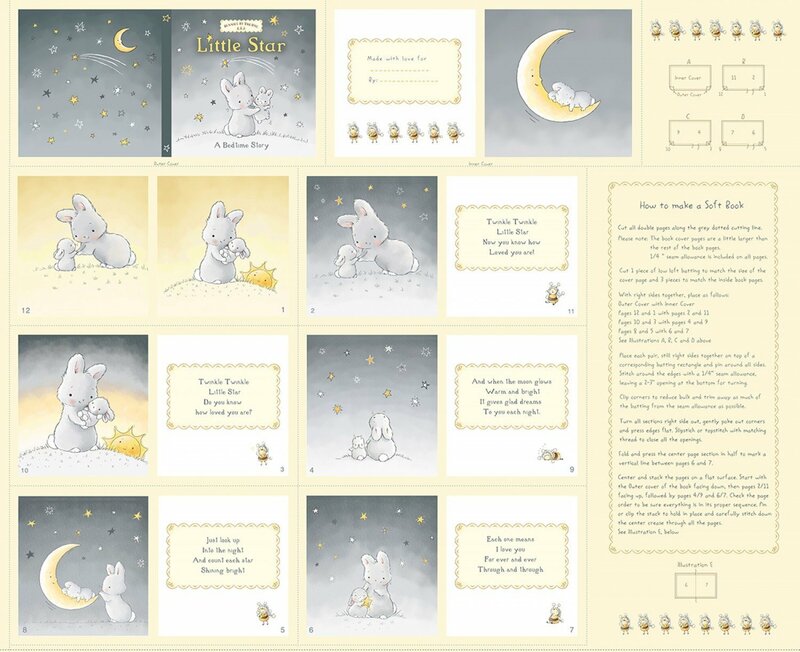 Themes of bunnies, moon, star, sun and bunny bees.